A Blog about Fashion and Makeup. 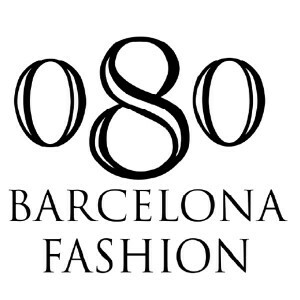 Today I want to talk about a fashion event: 080 Barcelona fashion! 080 Barcelona Fashion was conceived in July 2007, as part of the 2007-2010 Action Plan for Catalan Fashion promoted by the Ministry of Innovation, Universities and Enterprise of the Government of Catalonia working through the Consortium for Trade, Crafts and Fashion of Catalonia, its goal is to become a platform providing increased visibility for independent fashion designers and a benchmark for international avant-garde fashion and design. So, the next edition is almost here! Here goes some videos form some of the catwalks of the last edition! Hope you enjoy it! 2010 Edition of 080 Barcelona Fashion official web page here. I love fashion and I love makup and I just can't live without it. I also love music. How do you prefer the make up tutorials? Fashion is a Lifestyle por Francesca Rosca se encuentra bajo una Licencia Creative Commons Reconocimiento-NoComercial-SinObraDerivada 3.0 Unported. Basada en una obra en fashionandmakeuplover.blogspot.com. Permisos que vayan más allá de lo cubierto por esta licencia pueden encontrarse en http://fashionandmakeuplover.blogspot.com/.